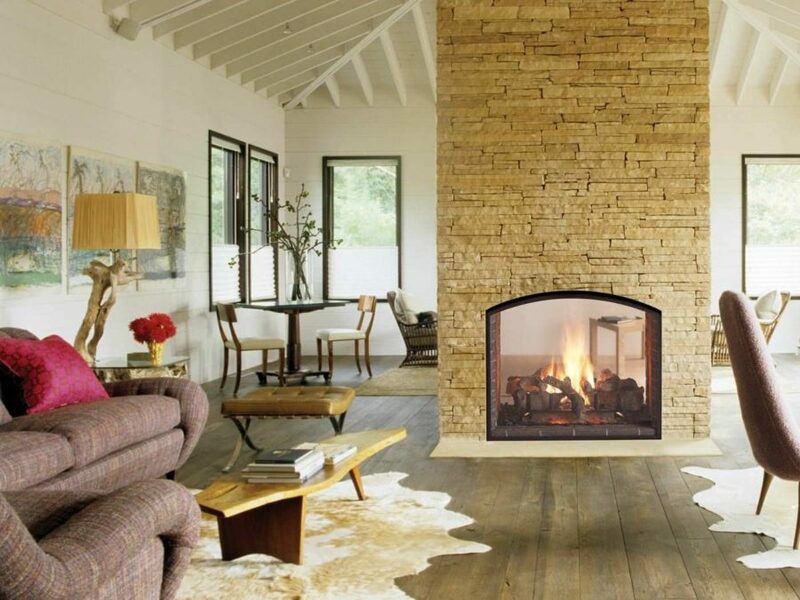 Homedit begins our cozy journey through the fireplaces with this interesting living room design. 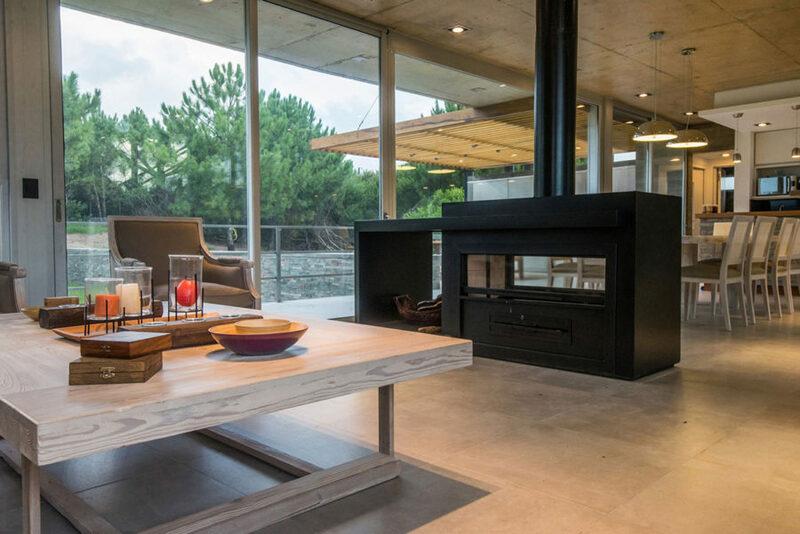 The fire sits in the center of this open space offering up warmth to both sitting areas. 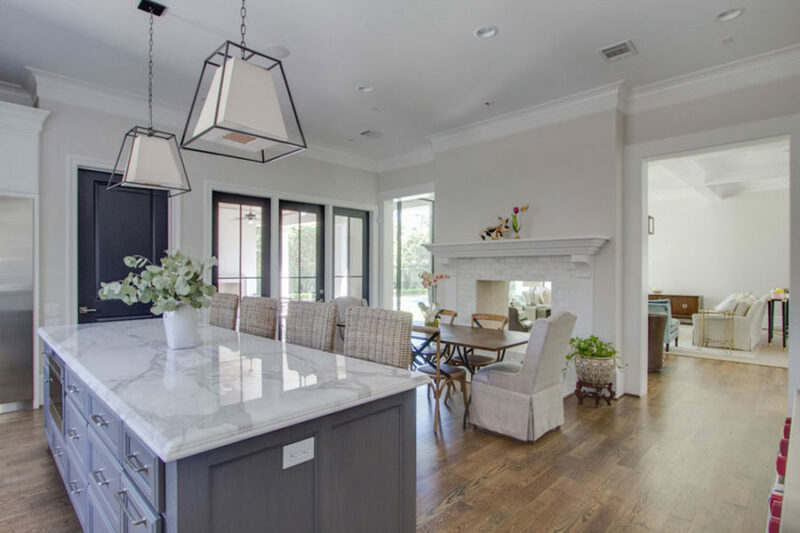 Mixing a more formal space with one that’s fit for dining, these builds are perfect for homes with a lot of spacious areas. 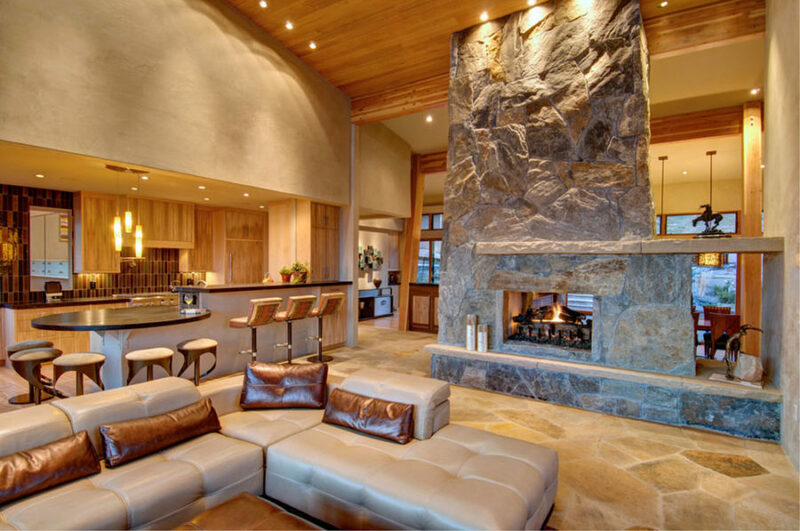 Over at Impressive Interior Design, you’ll find this grandiose, stone design that’s hard not to fall in love with. There’s a definite cozy vibe here and we love how every angle of this room gets to experience the crackling of the wood inside. 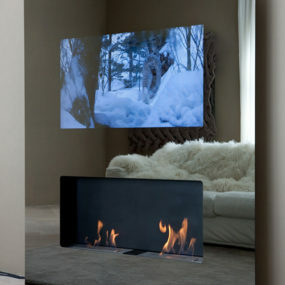 It’s really the perfect addition to homes that have good winter months. Then there’s this chic, farmhouse-inspired space. 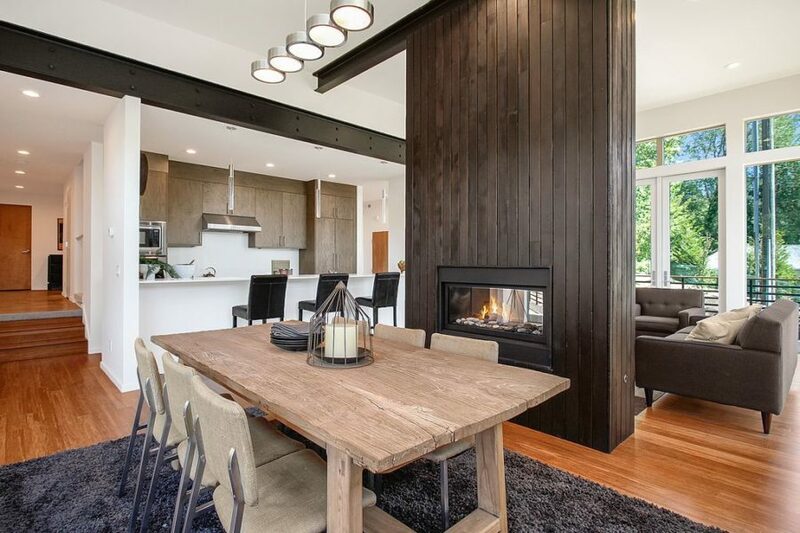 Although you see how clearly modern the vision is here, that fireplace and other wooden additions add a more casual, homey vibe. Again, both the dining room and sitting area gets to benefit from the warmth. Thanks for the inspiration Zillow! 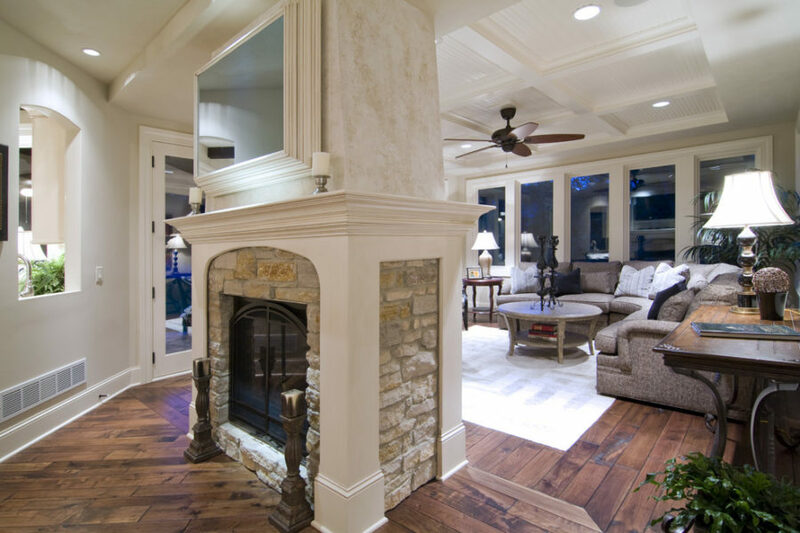 Here at Acucraft we see a fireplace with a traditional style but one that ignite the night of both the living room and the covered patio. This is a really great addition to a family-friendly home that loves to create rooms that feel warm and welcoming. 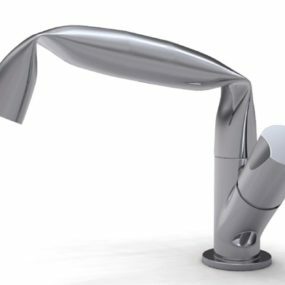 If you’re looking for something ultra modern, then this design from Modus will be something you’ll want to take a second look at. It’s a beautiful way to add some interest to hallways and room partitions. 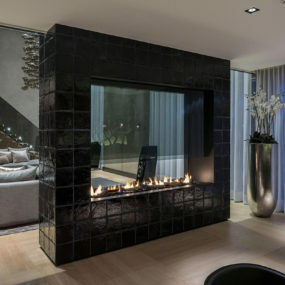 You can see how this fireplace really adds a comforting poise to these two rooms. 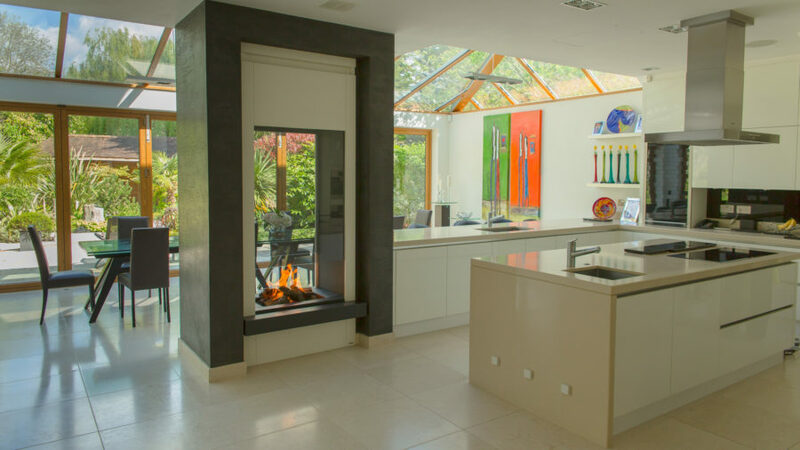 Here’s another great traditional design that we found over at Houzz. 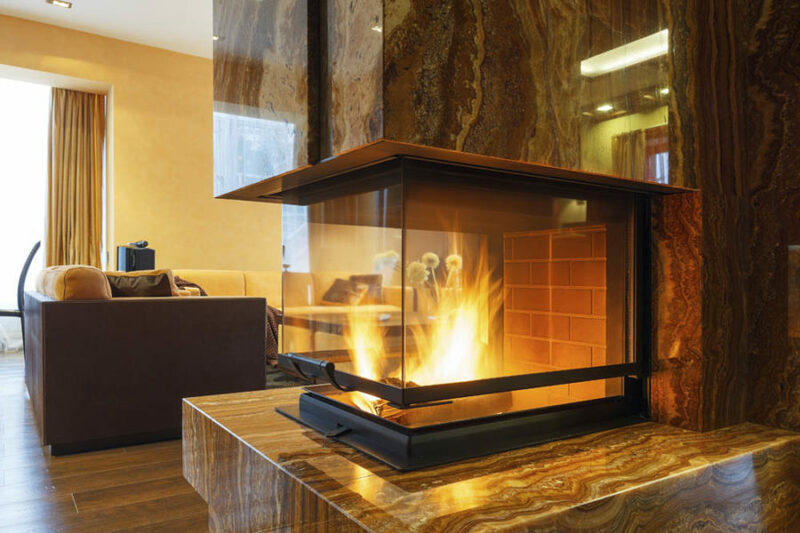 Being able to take in the fire from any angle of the living room is so beneficial, especially when you’ve got a lot of family over or you’re entertaining. And this piece in particular takes on a rich, welcoming impression. If we travel over to Impressive Interior Design again, we’ll find this beautiful display as well. A neutral palette that feels light and bright for the family to enjoy. 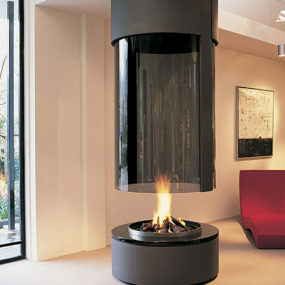 And that fireplace acts as a beautiful room partition between the dining room and living space. 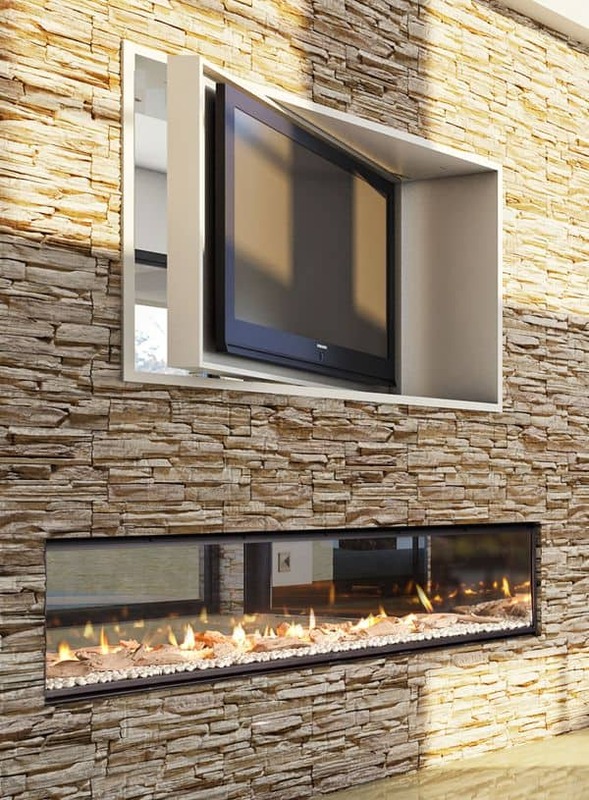 Curtain Call Creations went with a modern, double-sided fireplace design that is just as much a piece of art as it is functional. Take in the sites from a variety of angles and crank it up when the holidays roll in and your weekend entertaining takes flights. 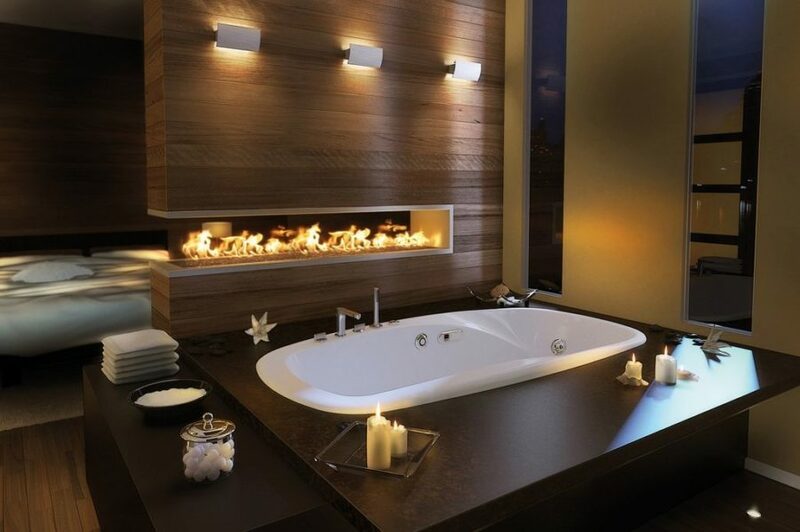 Have you ever thought about adding a fireplace to the bathroom. If you’re looking to make the master bath a bit more luxurious and spa-like, then check out this stunning scene from Zillow. 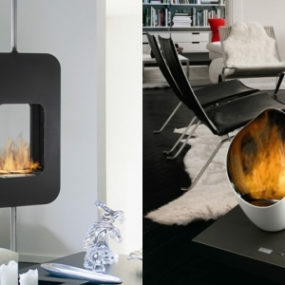 From the bathtub to the bedroom, you’ll be able to utilize this modern, crackling fireplace. 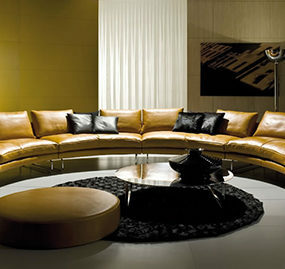 Here’s anther horizontal design that we find rather contemporary and chic. 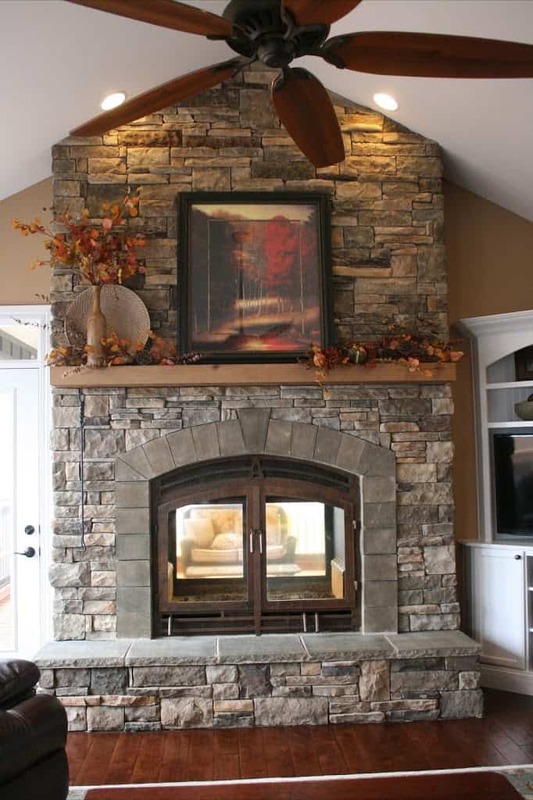 But, because of the stone, you get a look that fits well within traditional homes as well. Thanks again to Pinterest for collecting to many bouts of great inspiration for our future home dreams. We’ve gushed about this vintage-inspired display on Trendir before. 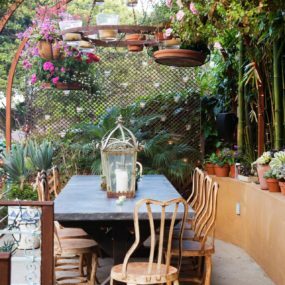 You can use the space to the side fore storing wood and then watch the fire glow in the center – from either the living space or dining room. It’s a great treat to have on cold nights when enjoying dinner with the family. 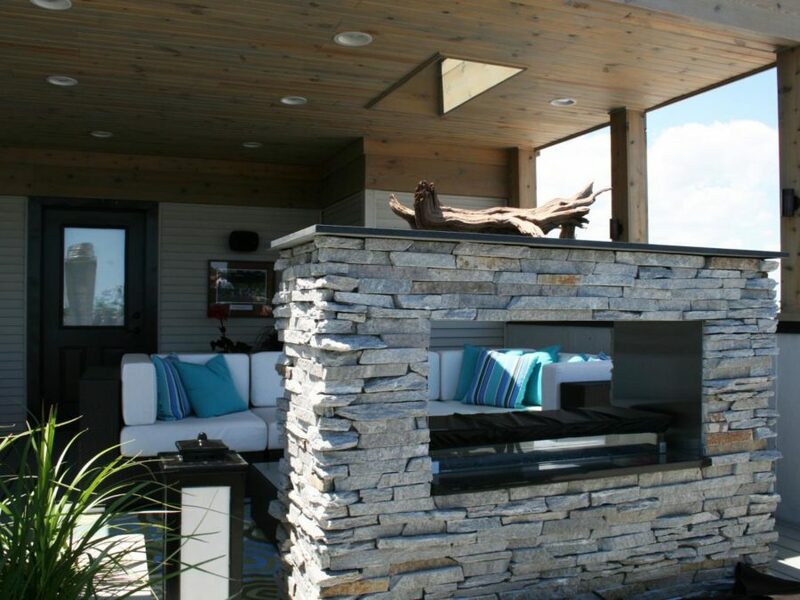 Did you ever think about having a fireplace outside – let alone one that’s double-sided? Well, you can grab some inspiration from that innovative idea over at Houzz. Take it all in from the patio or the pool – it’s your choice! 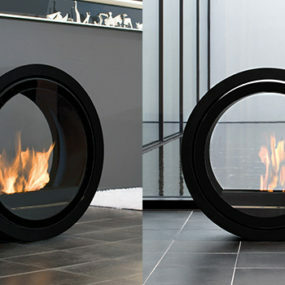 W’re loving this indoor and outdoor treat from Heat & Glo as well. 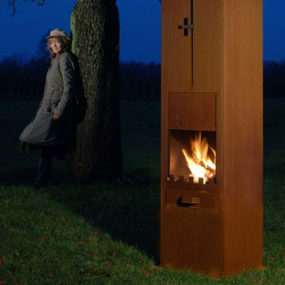 Again, it’s a really innovative and crisp design that an entire family would love to have and utilize. 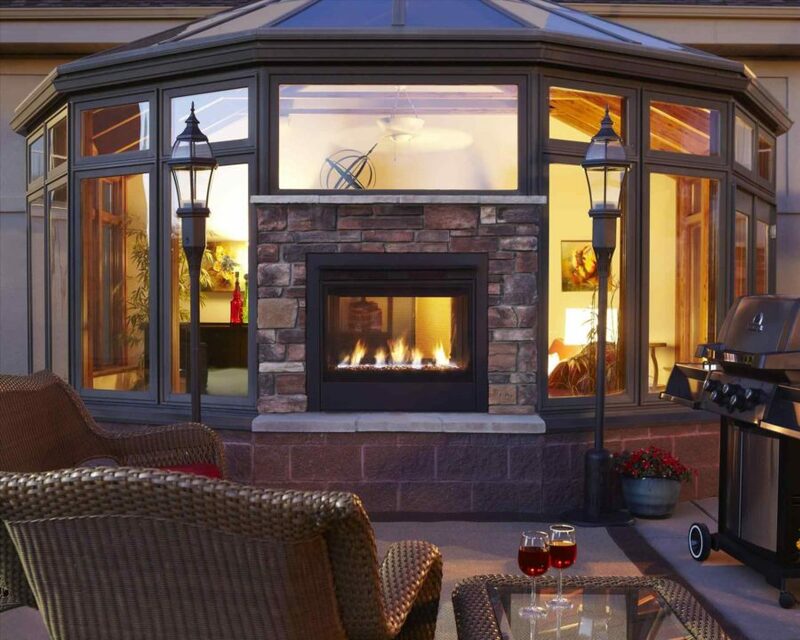 Summer months outside can be spent with a glow while winter nights can be enjoyed on the inside. Modus has a lot of great ideas but this one is a definite favorite. It’s modern and chic but it’s a versatile design that stands out among the rest. It’s a heightened look that’s been placed in an usual – but functional – spot in the house.